BUSRide spoke with Jenny Shiner, marketing communications manager at GPS Insight, about the latest features available in telematics and fleet management, the roles of proprietary and open systems, the electronic logging devices (ELD) mandate, and the development of autonomous vehicles. Please describe your company’s expertise and capabilities in relation to telematics. GPS Insight provides fleet management solutions for personal transportation fleets to help solve challenges related to fleet operating costs, exposure to risk on the roads, and inefficiencies that cost time and money. We offer fleet tracking, ELD, fuel cards, and in-cab cameras to help solve those challenges. To what degree does proprietary technology and, conversely, open architecture play in today’s advanced telematics systems? Proprietary technology is playing a role in telematics mostly in regard to hardware, such as GPS tracking devices. The devices are built to work with one system that is controlled by a provider. Conversely, open architecture is allowing for open application programming interfaces (APIs), which are how telematics systems are able to integrate with other technologies used in fleet operations and send data back and forth between systems. How has the ELD mandate affected the development of telematics technology? The ELD mandate has made a significant impact on telematics. While many providers offered an Hours of Service (HOS) solution in the past, the mandate meant that vendors had to ensure their solution and devices met all of the Federal Motor Carrier Safety Administration’s (FMCSA’s) requirements to be included on their self-certified ELD vendor list. The result was far more sophisticated functionality that now benefits both driver and public safety tremendously. With telematics systems moving so much data back and forth, what steps are you taking to secure your customers’ data? Cyberattacks are on the rise, so telematics providers have to be focused on securing their software and hardware to protect their customers’ data. GPS Insight is SOC-2 compliant, meaning auditors from the American Institute of Certified Accountants spent over three months with GPS Insight to determine that they have over 100 security controls in place pertaining to confidentiality, integrity, and availability. We also recently attained FedRAMP Ready status, which required us to apply over 300 security controls to ensure system security for customer data. GPS Insight is one of just over 200 organizations in the entire world that have received any sort of FedRAMP designation. How is the development of new vehicular technology, such as electric drive systems or even autonomous vehicles, affecting telematics technology? New vehicular technology, such as electric drive systems and autonomous vehicles are evoking telematics providers to be future-focused in their technology, specifically in regard to safety feature sets, data capabilities, and integrations. The biggest hurdle for autonomous vehicles at this point in time is the safety factor. Passengers still do not feel safe riding in a vehicle without a driver, and it presents a public safety issue for transportation fleets. Having the ability to monitor these vehicles in real time and access video of driving events is important but achieving more advanced artificial intelligence (AI) that can better judge safety situations will be crucial to putting autonomous vehicles on the roads for commercial use. We are likely to see telematics providers partnering with technologies that include AI capabilities in the near future as part of this effort. What is the biggest development on the horizon related to telematics? An important development for telematics is the increasing ease and availability to integrate with other systems. It’s clear that customers have the need to look at several sets of data to get the full picture of what is happening in their fleet, and providing the ability to look at this information from one platform is hugely beneficial. 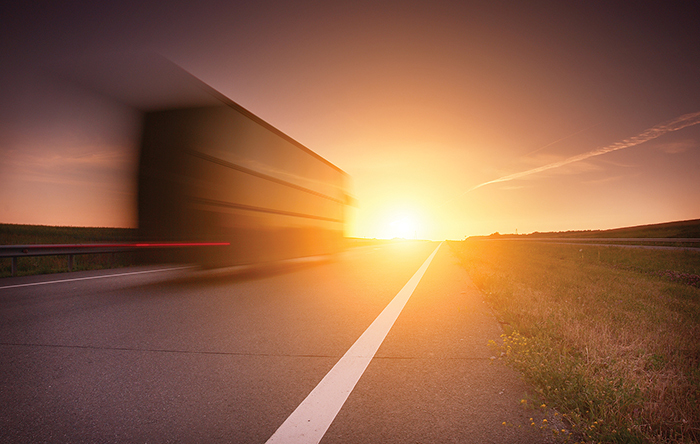 Integrations help fleets monitor big data with ease and make connections between data sets, which ultimately helps make better business decisions. We are also likely to see telematics data being put to use for larger urban initiatives, such as smart cities. The technology can collect data from vehicles like carbon measurements and fuel usage, and other metrics like traffic lights and road conditions. This information will help decrease traffic congestion, notify municipal authorities about potholes in the road that need to be fixed, support sustainability, and optimize route efficiency to help public transportation fleets better serve their customers.